In the end, Mr Pragmatic calmly read the signs of impending defeat and went out on his own terms. 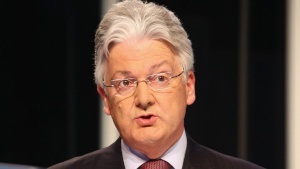 You could use any number of clichés to describe Peter Dunne’s exit from Parliament. The unkind might talk of sinking ships, others could be more reminded of a loaded revolver left on the desk by his Cabinet colleagues as they closed the door behind them, now that the polls in Ohariu had confirmed he was no longer of much use to National. Last week, this column had noted that National seemed to have thrown Dunne under a bus during the recent Barnaby Joyce affair. Any Cabinet loyalty to Dunne’s recounting of the facts certainly appeared to count for nothing to Foreign Minister Gerry Brownlee, who was intent on blaming the NZ Labour Party for the Joyce debacle, regardless. So it goes. Dunne had chosen to lie down with National, so he could hardly complain about the fleas. Dunne squeaked back in 2014, but the writing was on the wall. Faced with (a) Greg O’Connor, Labour’s conservative law and order Labour candidate and (b) the tactical abstention by the Greens… Dunne was always unlikely to survive. By retiring now, as he’s said, he has avoided humiliation on election night. Sure, his abrupt departure will require National to quickly build a ‘two ticks” strategy around its Ohariu candidate Brett Hudson, but that shouldn’t be a biggie for campaign manager Steven Joyce. In the end, Dunne was left owing National very little, given last week’s churlish behaviour by Brownlee. These kind of decisions though, are not made overnight. Ultimately, Peter Dunne came to realize that he just wasn’t a thing that anyone could find much use for, anymore. What is one to make then, of the 33 year parliamentary career of Peter Dunne? Hmm. For a young lad who reportedly subscribed in his teens to Hansard – and read it avidly! – it seemed fitting that when asked yesterday on RNZ to list his main achievements, Dunne pointed to his recent efforts to unite the Fire Service. Yep, we’ll certainly all remember him for that. Also, Dunne’s sterling efforts down the years to keep the Johnsonville suburban railway line open shouldn’t be interred with his political bones, unsung. Many, many school fetes and citizenship ceremonies were graced by his presence. Back when MMP was introduced, a bigger role had seemed likely for the little man in the middle. Centrism had seemed like the wave of the future, and Dunne was willing to bend in the political wind into whatever shape his own survival demanded. He got a lot of stick for doing so. Arguably though, being elastic – while not admirable – is hardly the worst trait for any politician to have. In a country that saw any number of passionate ideologues wreak absolute havoc during the 1980s and 1990s, Dunne’s pallid flexibility was a decidedly lesser form of evil. ‘The interesting thing about Mr. Common Sense & Reliable is the body of evidence that indicates he is neither. I’m not talking about Dunne’s memorable fit of pique at TVNZ’s Mark Sainsbury on election night in 2005… or actually I am, but only as evidence of an underlying reality, rather than an out-of-character incident. Being sensible is very stressful. ‘He seemed so normal,’ is after all, an observation that the neighbours of serial offenders routinely make. With Dunne, it has been more a case of serial identities. On the surface, Dunne can seem like a plodding, hyper-rational figure – the Ken Barlow of New Zealand politics. Yet since 1996, Dunne’s party lists have zig-zagged in dizzying fashion, often with barely a name recurring between elections. The ethnic minority line-up in 1999 for instance, was markedly different to the neo-Christian line-up he assembled in 2002. For years, Dunne has been willing to hitch his little engine to whatever chain of wagons is available, before chugging off in whatever direction is most likely to deliver him the goods. The public has sometimes been very surprised by what Mr Sensible has actually delivered. Thanks to the workings of the television worm, Dunne hit his peak during the 2002 election campaign as the Sensible Little Chap, the moderate alternative to a dreaded Labour-Green combination in government. Ironically though, the public’s sudden infatuation with United Future in 2002 didn’t save the system from extremism. Quite the contrary – that fling by the voters propelled a bunch of Christian radicals from Dunne’s fundamentalist party list into Parliament. To Dunne’s relief, those United Future MPs have since gone down in electoral defeat and/or chosen to pitch their revival tent elsewhere…. For the past six years [2002-2008] Dunne has posed as the steady, reliable hand restraining Labour from going off the rails with any left wing, anti-business agenda – but in 2008, Dunne [is] posing as the steady reliable restraint stopping National from going off the rails with a possible right wing, pro-business agenda. Did Dunne desire to be more than this? Beneath the usually unflappable exterior did there beat a more passionate heart, a person who could have shown people a thing or two, given half the chance? I think there was. The strange incident in 2013 over his extensive correspondence with a young reporter and his possible role in the leaking of a GCSB report certainly suggested as much. Lets hope that in retirement Dunne can finally cancel the Hansard subscription and get in touch with that other, wilder self. A yoga class? A half marathon? Painting in the outdoors in the south of France, beret at a jaunty angle? For all our sakes, lets hope the future does not involve Dunne teaming up with Kennedy Graham, to write the definitive book about republicanism. He’s through with all that now. A wilder self, surely, is beckoning.